Before Finn's arrival in Fair Hollow, Jack and Phouka are sent by Reiko Fata to New Orleans, and Mr. Bones, a creator of Grindylow. As disturbing events unfold, Jack remembers his mother's mysterious death, working with his exorcist/coachman father, and how he became Reiko's Jack in Victorian-era London. They call us things with teeth. These words from Lily Rose Sullivan the night of her death haunt her seventeen-year-old sister, Finn, who has moved with her widowed father to his hometown of Fair Hollow, New York. After befriending a boy named Christie Hart and his best friend, Sylvie Whitethorn, Finn is invited to a lakeside party where she encounters the alluring Jack Fata, a member of the town's mysterious Fata family. Despite Jack's air of danger and his clever words, Finn learns they have things in common. One day, while unpacking, Finn finds her sister's journal, scrawled with descriptions of creatures that bear a sinister resemblance to Jack's family. Finn dismisses these stories as fiction, but Jack's family has a secret—the Fatas are the children of nothing and night, nomadic beings who have been preying on humanity for centuries—and Jack fears that his friendship with Finn has drawn the attention of the most dangerous members of his family—Reiko Fata and vicious Caliban, otherwise known as the white snake and the crooked dog. Plagued with nightmares about her sister, Finn attempts to discover what happened to Lily Rose and begins to suspect that the Fatas are somehow tied to Lily Rose's untimely death. Drawn to Jack, determined to solve the mystery of her sister's suicide, Finn must navigate a dangerous world where nothing is as it seems. Also available at these independent bookstores! 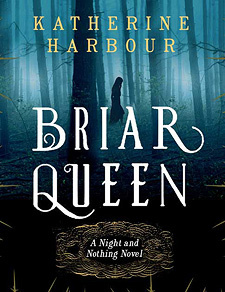 "Harbour finds some new ground in this twisty, contemporary re-telling of the oft-retold Scottish ballad 'Tam Lin.'" 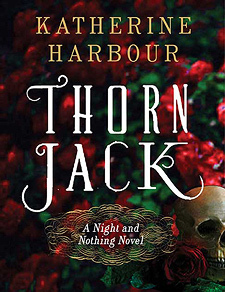 "Now (Tam Lin) emerges again, artfully recreated by debut novelist Katherine Harbour." 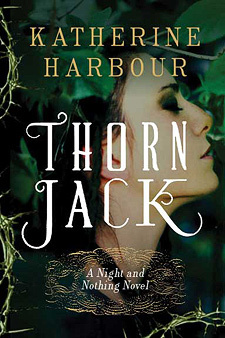 "4 stars out of 4 and a half"
"Katherine Harbour crafts an opulent world of masks and mythical beings that is constantly fraught with peril....Thorn Jack is highly recommended, particularly for those who like their fairy tales dark, enthralling, and even a wee bit disturbing. 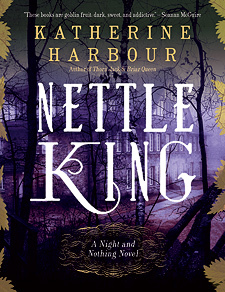 Katherine Harbour's storytelling is nothing short of masterful!" "...an engaging and entertaining story, offering mystery, frights, young romance, and a chance to brush up on your mythology. Think Veronica Mars in Forks by way of Robert Graves." As Finn and Jack attempt normal lives, the Fatas, now temporarily ruled by Reiko's lieutenant Phouka, remain on the fringes. Finn's friends, Christie and Sylvie, are learning they can't ignore the Fata world either, as Christie fights his attraction to Phouka and Sylvie is haunted by the Black Scissors, the wanderer cursed by the Fatas. When Finn helps a mysterious young man named Moth, who has no memory but carries a charm bracelet that had belonged to Finn's sister Lily Rose, Finn learns that her sister's strange suicide might have been a Fata trick. Then a Fata called the Wolf king arrives in Fair Hollow, seeking Finn and Jack. He tells them he has Lily Rose—and to come find him in the Ghostlands. Led by Moth, Finn and Jack, followed by Sylvie and Christie, must travel into the perilous and feudal Ghostlands—which shadow the true world—to find Lily Rose. And they learn that there is a terrible price to be paid for bringing someone back. 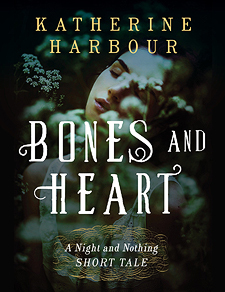 "Harbour makes love, suffering, and sacrifice the most poignant parts of her worlds, and readers with even the barest knowledge of fairy lore and legends will be pulled deep into this tale of sharp magic and its ruthless children." "Readers drawn to faerie lore will enjoy this lush, romantic tale." When Finn is forced to journey into the land of the dead by an old enemy, she breaks the rules, which results in the emergence of an ancient evil with a familiar face. This time, Finn must not only save her friends and Fair Hollow, but perhaps the world as well.